You’ve booked the venue, invited your guests, said yes to the dress, picked out the colour palettes, and are probably halfway down a never-ending checklist of wedding ideas to decide on. But what about the groom? On the biggest day of your lives, he’s the supporting lead. He makes up 50% of your wedding, and will be in almost all of the photos that you’ll cherish for a lifetime together. On a day that you’re the Princess, he’ll be your Prince Charming. All too often though, beautifully-shot wedding photos are cheapened by poorly-picked menswear. Baggy suits, unflattering colours, and suit styles that don’t match the wedding theme are the usual culprits. Luckily, there is a science to solving this. We call it the 5 C’s of Suits. When your fiancé was shopping for your engagement ring, there were 5 C’s that helped him with the selection process: Cost, Carat, Cut, Clarity and Colour. With suit buying, we’ve also come up with 5 C’s: Cost, Cut, Cloth, Construction & Congruency. Unlike your dress, the Cost of your groom’s suit can be spread over how many times he can wear it after your big day. 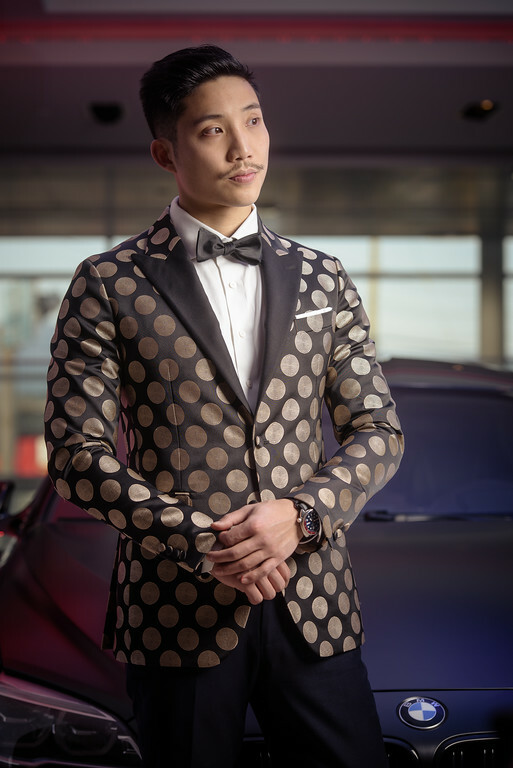 Factoring in his lifestyle, personality and goals is a surefire way to get him to enjoy wearing his suit more often, even if he’s not regularly the suit-wearing type. The Cut of the suit will determine how good it looks on his body. Tailoring is a centuries-old skill that balances art and science. The objective of a proper tailor is to manipulate the various panels of a suit to make a man look taller, slimmer and more athletic. Basically, turning men into superheroes. Like the Colour of a diamond, many people ignore the Cloth of a suit because they don’t understand it. To put it simply, cheaper fabrics will be stuffy, scratchy, and look blah, whereas finer fabrics will drape better, breathe properly, and will stand out in any setting. If you’re having a warm weather wedding, beware of any suits made with synthetics such as polyester in either the exterior fabric or the lining, as that will retain moisture and heat like a garbage bag wrapped around the body. Definitely not good to have if you want to get your man to enjoy wearing his suit. If Cloth is like the Colour of a diamond, then Construction is the inner Clarity, The inner construction will be equally as important to breathability and longevity, yet it is often the most overlooked factor by suit shoppers. Proper Construction will also ensure that a suit looks crisp and solid while being comfortable to wear. Perhaps most important of all for your wedding day and beyond is the final C: Congruency. Congruency actually factors in all the previous 4 C’s: whether a suit is congruent with your budget, whether the Cut is Congruent with his body type, and whether the Cloth & Construction are Congruent with the weather and your lifestyle. Congruency also factors in a huge way for your overall wedding theme. Will it be a more formal or fun affair? Where will you be taking your photos? That will affect which colours will help him stand out or be washed out. When we design the suits for Harvey Specter and Mike Ross on the TV show SUITS, Congruency plays a huge factor. Through expert tailoring techniques and detailed fabric curation, we are able to ensure that Harvey looks like the big boss while Mike looks like the junior lawyer. Even knowing what the characters will be going through in each episode allows us to select fabrics and construction styles that will evoke different emotions from the viewers for the characters. While you’re out shopping for your menswear, you’ll notice that most shops operate with profits in mind ahead of what actually works best for you. 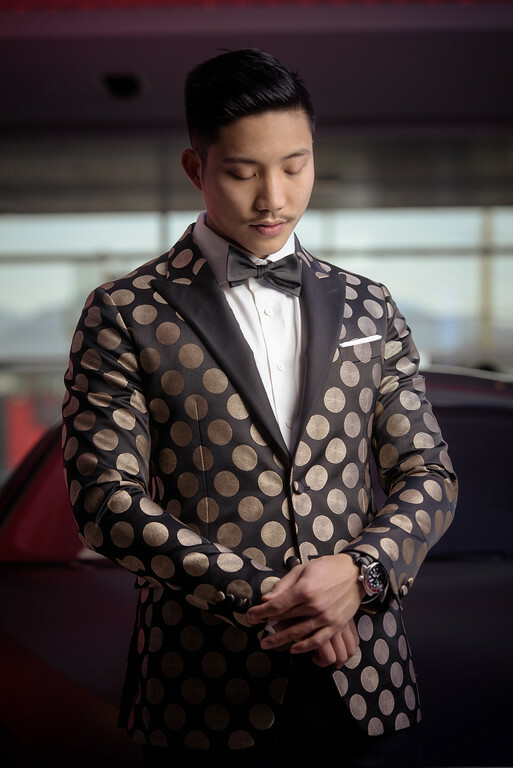 Instead of hunting around and settling for an off-the-rack suit that only satisfies a couple of the 5 C’s, you may want to consider a custom tailor you feel comfortable with. A proper tailor will take the time to listen to your needs, and be willing to make suggestions on factors you haven’t considered. Copying an interesting look off of Pinterest is a good start, but with proper preparation and expert advice you can ensure that your groom and groomsmen won’t look out of place on your big day. After all, they will be making up half of it.